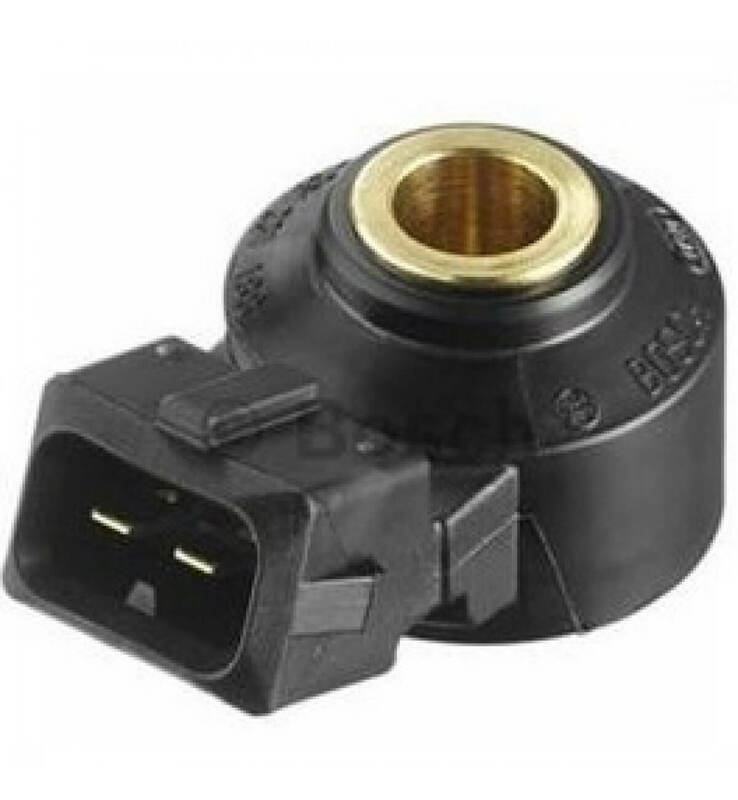 This genuine Bosch knock sensor is suitable for using with all Link G4+ series ECUs as well as the Link KnockBlock G4/G4+ or KnockLink G4 and is the same sensor that these products were designed for. This sensor is preferred over other options due its high quality and wide frequency measurement range. This is a universal ‘wide-band’ type knock sensor rather than a resonant type which is tuned to a particular engine’s knock frequency of interest. In technical terms this means that the sensor’s resonant frequency is above 20kHz with a wide pass-band to give a relatively flat response over a frequency range between 3kHz and 15kHz. This allows this sensor to monitor either the fundamental knock frequency or 1st harmonic for most engines. Does not include Knock Sensor Mating Plug 1287013003 (Uses a Bosch 2-pin injector plug). For inline 4 cylinder engines – Half way between the sump gasket and head gasket on the intake side of the engine between cylinders 2 and 3. For inline 6 cylinder engines – Use 2 sensors mounted half way between the sump gasket and head gasket on the intake side of the engine with one sensor at cylinder 2 and the other at cylinder 5. For V6 or V8 engines – Use 2 sensors both mounted on the intake side on the engine (i.e both in the ‘V’) at or between the middle cylinders.